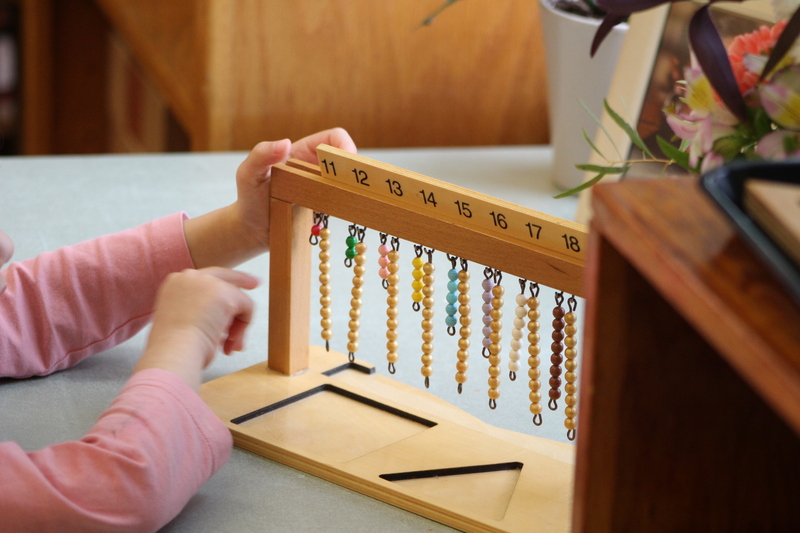 Montessori children begin to write before they are able to hold a pencil. Our youngest students dictate stories to their teachers who transcribe their words onto paper for them. Young children also compose words, lists, sentences, paragraphs and sometimes even stories by using a moveable alphabet. As students get older, the written word is used as a mechanism for demonstrating what one knows, as a means for communicating important information or profound thoughts, and to express one’s creativity. Junior Level students write on a daily basis in every curricular area. They work on writing mechanics with penmanship exercises, form and structure in grammar studies, and expository writing by doing original research. Junior Level children also participate in bi-weekly lessons related to the Picturing Writing curriculum. This creative writing process combines experiences with quality picture books, sequential watercolor activities and writing instruction to teach literary concepts. The Picturing Writing curriculum was designed to especially appeal to those children for whom writing does not come easily. Over the course of the year Junior Level children write a series of books that they also illustrate. For the first time this year, children will be making their own paper to use as the covers for their books in Art class. When all students in a class have completed a book, classrooms often celebrate with an Author’s Circle so children have the opportunity to share their stories with one another.